During Coca-Cola’s sponsorship of Nigeria’s knockout competition, OJEIKERE AIKHOJE played a significant role anchoring media relations. 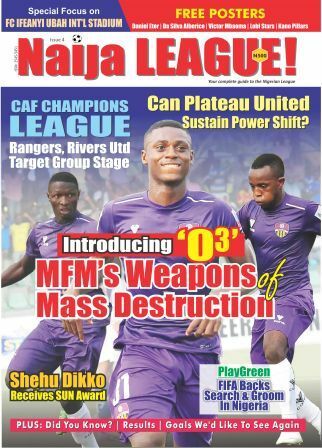 In this report for naijaleaguez.com.ng, he writes about the new beginning with Aiteo. It’s a new beginning for Nigeria’s knock-out competition, now called Aiteo Cup, as it finally kicked off with draws held live on Channels Television, Friday night. 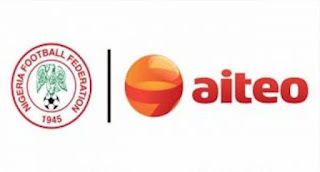 Rebranded Aiteo Cup, courtesy of sponsorship from the oil firm, it enters the second era that the competition will enjoy corporate support since the Coca-Cola era ended in 2008. The competition enjoyed robust sponsorship by Coca-Cola from 199 through 2008. And from 2009 through 2016, the competition was rebranded Federation Cup. However, it lacked title sponsorship. Truth be told, sponsorship has a way of changing the competition as was experienced during the Coca-Cola years. Interestingly, the Aiteo Cup has come with unique strategies to boost the profile of Nigeria’s oldest club competition. Indeed, it is a radical departure from the past! For the first time the draws were held live on TV with Channels Television’s Sports Programme, Sports Tonight, as base. naijaleaguez.com.ng learnt that this format will continue as the competition progresses. A remarkable increase to N25 million makes the Aiteo Cup stands out. For the first time since 2009 when the Men’s and Women’s fibals were staged same day, the Aiteo Cup will see both finals separated. The Men’s final will hold a week after the Women’s final has been decided. There will be draws for every round of the competition till the semi-final. The former Round of 64 which serves as the beginning of the main draws is now called First Round. In same manner, the Round of 32 becomes Round 2, while Round of 16 is Third Round. Most Valuable Player in the 2005 edition of the defunct Coca-Cola FA Cup and Cup winner with Enyimba, Joetex Frimpong, believes the Aiteo Cup innovation has the ability to take the competition to another level.